Let's get into the 3 (chefs), 2 (nights), and 1 (Michelin Star) on the Beefbar x Ash & Elm collaboration happening this weekend! 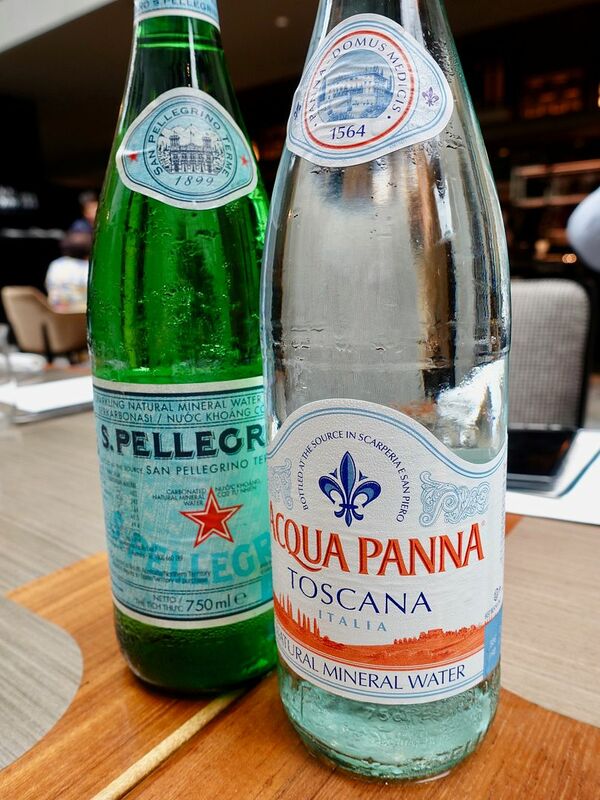 S.Pellegrino and Acqua Panna has brought together the signatures of Hong Kong's one Michelin star Beefbar Chef Andrea Spagoni, and InterContinental Singapore's Chef Philippe Duc and Chef Ben Goh for a special five-course menu. The menu starts with an Amberjack carpaccio with wasabi dressing and coriander cress, followed by a Beef tartare “bistro style”. 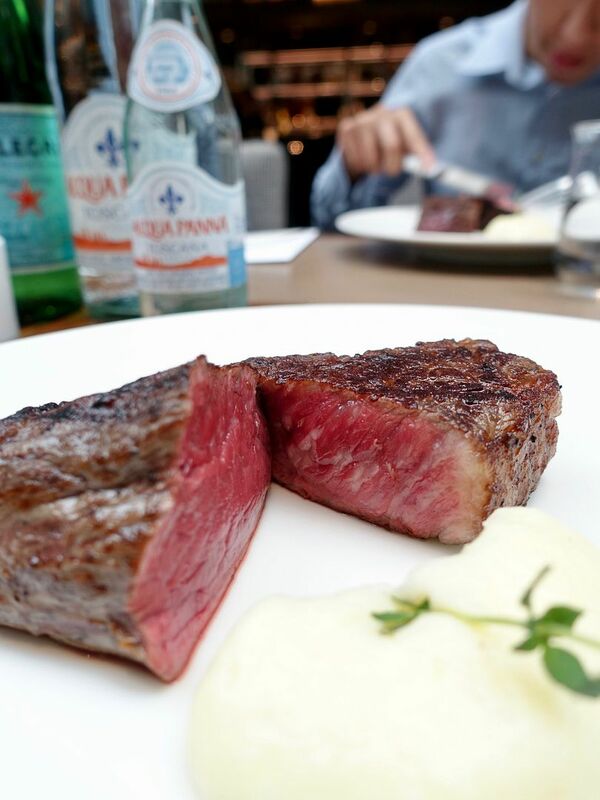 There's no doubt of the quality of the prime beef served by Beefbar Hong Kong, the only star-rated steakhouse in Hong Kong. Within the first year of opening in 2017, they earned their first Michelin star, and have kept it for the second year running. 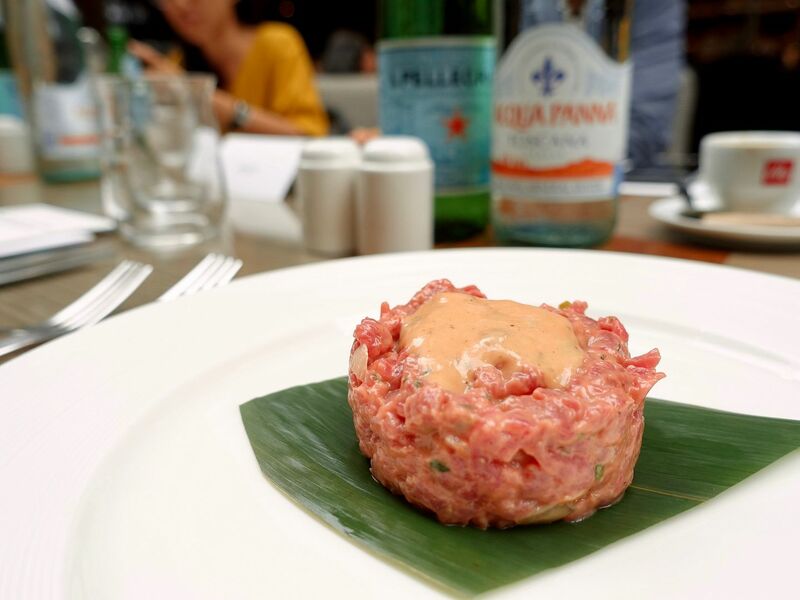 Tenderloin is used in this chunky beef tartare. Next, the Pan-seared Hokkaido scallops by Chef Philippe. 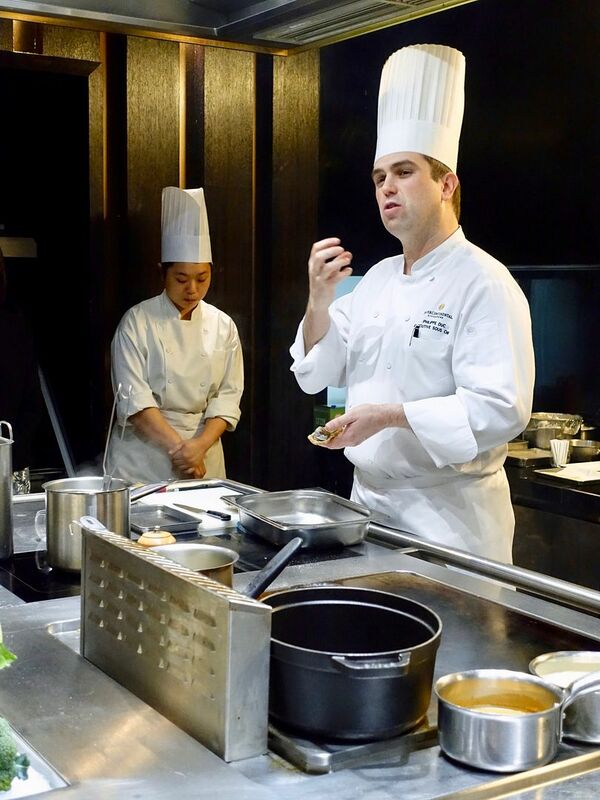 Chef even gave us a class on how to prepare scallops (that are still in their shell). I loved the sweetness in the firm scallop, which had a nice browned crust to it, paired with a tangy brown butter sauce. 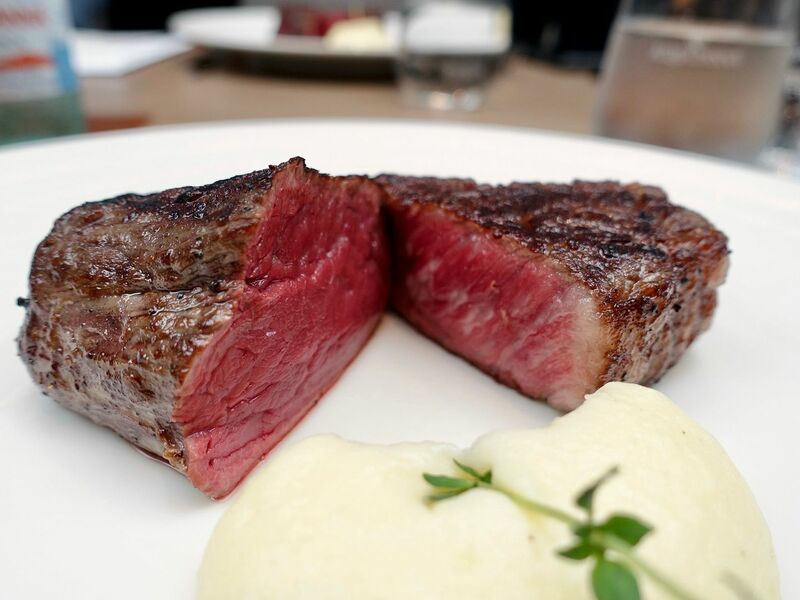 For mains, 2 cuts of beef were served- American prime Black Angus tenderloin, and Australian wagyu-crossbred striploin. The tenderloin slices like butter! For those who prefer a richer flavor, you'd enjoy the striploin for sure. 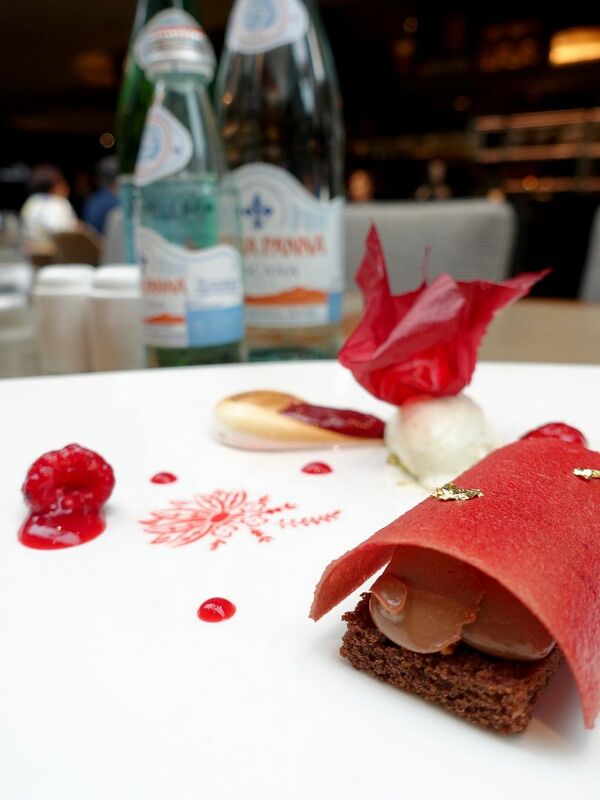 Dessert Rouge was prepared by award-winning Chef Ben Goh, and features a lovely Single origin 68% cuvee Bali chocolate crémeux and a yuzu yoghurt sherbet, decorated with strawberry compote and vanilla meringue. THAT CHOCOLATE was amazing! I finished every bit of that dessert! Go get a table if you haven't. 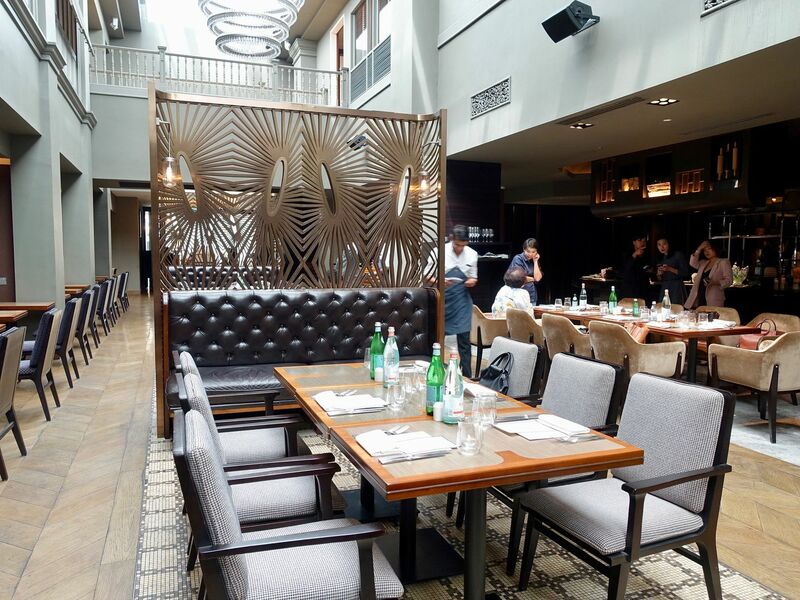 The five-course dinner is $128/pax and wine pairing is available at an addition $88. Looking forward to more of the Fine Dining Lovers Guest Chef Series by fine dining waters S.Pellegrino and Acqua Panna.